﻿Na ovoce raises social awareness for forgotten fruits in public space. The disappearance of fruit trees at home and fruit imported from the other side of the globe led the initiative to create a unique database to map freely accessible fruit. 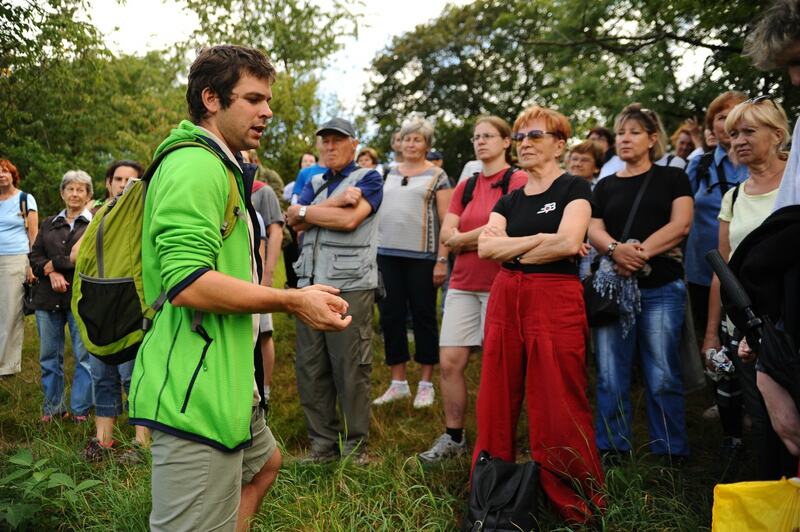 To this Na ovoce initiates workshops, walks and the founding of public edible parcs to reconnect citizens with themselves and their natural surrounding. “Measuring the fruit world” perceptibly thrills the members of the “Na Ovoce” team. Prompted by projects in neighbouring countries, they found innovative ways for how to infect others with their enthusiasm. The playful search for freely accessible fruit, participation in the drawing of the fruit tree map, rediscovery of nature at the heart of the city, reconquering of public space, active and inter-generational use of leisure time, the organisation of hikes to get to know urban orchards, the offer of intelligent recreation, the conception of a “great fruit trail”, the communal creation of “edible parks” – all of it is good for nature and good for people, it is joyful and strengthens togetherness.